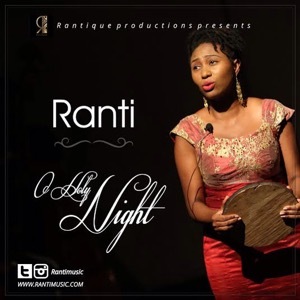 Ranti’s debut Christmas single, O Holy Night is a heartfelt rendition of a popular Christmas ballad with a twist. It features Yoruba, Hausa and Igbo (WAZOBIA) lyrics that bring the song closer to home and leave a smile on the listener’s face. This song highlights her classical roots while celebrating our indigenous tongues – uniting our hearts in the spirit of Christmas. Ranti has been a thrilling musical performer for both local and international audiences, cutting across a wide variety of musical interpretations and styles including the classical, jazz, blues genres etc. She left her thriving core engineering career at the end of 2014 to focus fully on her musical and theatrical career. In February 2015, she produced her own operetta/concert themed ‘After the Dream’ which was a huge success. Ranti, who regards her music as folk music with interpretations cutting across various genres, makes her debut to the music recording industry with the release of her singles. Her debut folk song Iwe Kiko (produced by Cobhams Asuquo) was released online three weeks ago with favorable reviews. With this foyer into recording music, Ranti hopes to inspire a larger audience with her music and share with the world the passions and gifts that lie within. O Holy Night was produced by George Nathaniel.